Today’s world of media-incited religious hatred is wrong. The only product of your article is to spread bigotry against Scientology. And if the press popularizes bigotry against one religion, whose faith is next? The article you published in Huffington Post by Yasha Ali is a bigoted, hateful and false piece about the Church of Scientology and a Scientologist. Yasha Ali is a man obsessed with attacking my church. In the period of a single day he issued over a dozen hateful messages attacking this religion. Well I have been a Scientologist for years. He has no clue about what he writes. Bigotry in any form is a cancer in this society that should be fought rather than bolstered. The First Amendment to the United States Constitution guarantees free exercise of religion and belief for all religions, not just certain ones. I request that you refrain from permitting such prejudicial remarks against Scientology in the future. 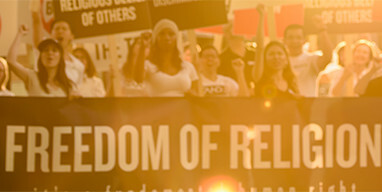 I also invite you to find out what Scientology is really about by looking at the official site, www.scientology.org. To permit spite against one religion is to do a disservice not only to Scientologists, but to all of your readership.